fruitfull harvest is a collaborative game made by MICA students jess connell, yurie murayama, corey heffernan and i for a class. 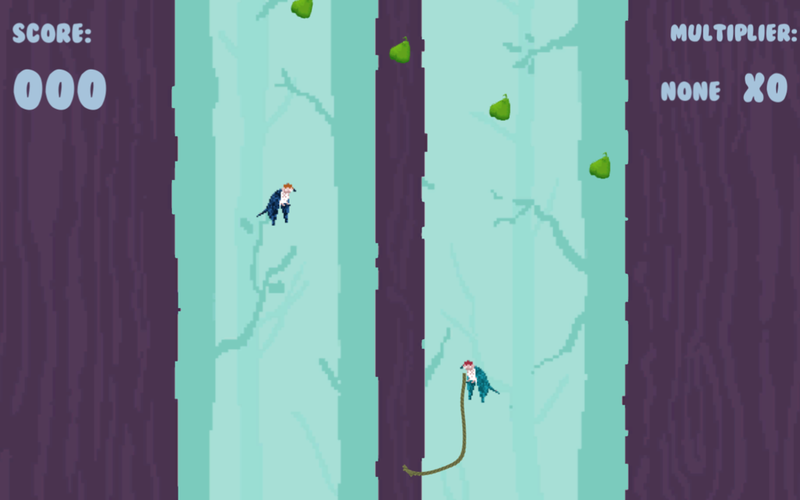 two players each control a bird on either end of a net, restraining their movement. they must coordinate their flight to close the net and avoid branches, or open it and catch fruit. i worked on basic programming, UI design, character design and animation. it's currently in an arcade cabinet, but you can download to play here.